“After a general secondary school education, the BAC, I entered the École Supérieure de Cuisine Française in Paris where I learned gourmet cooking and met people who were decisive in shaping my vision of cuisine. 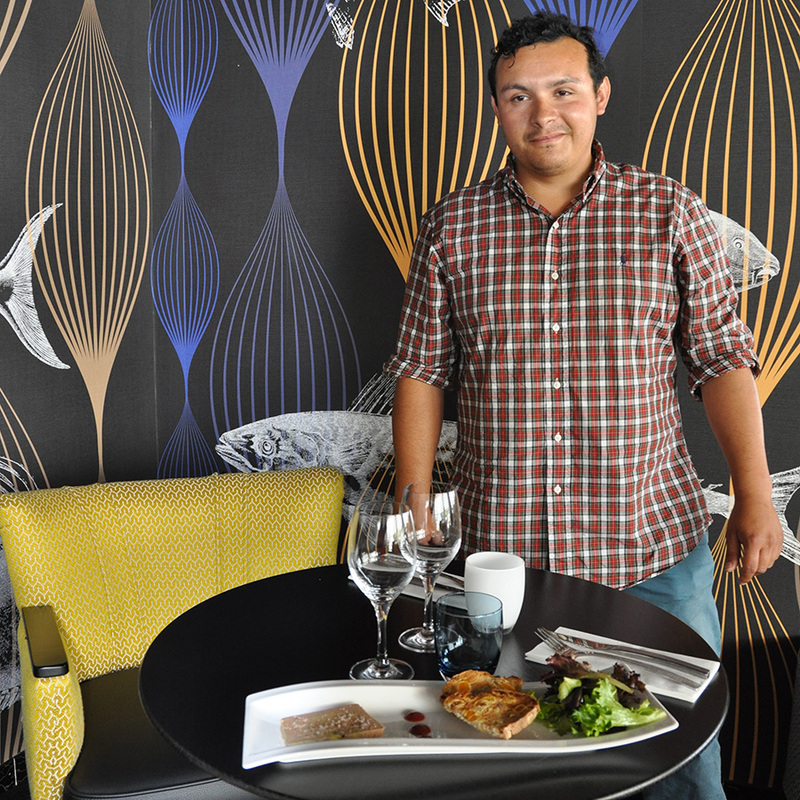 “I joined the kitchen at Le Shore when it opened last month. I was lucky enough to be able to develop my cuisine, make it fit with my tastes and recruit my own team. The menu reflects my cooking methods and the general concept of the restaurant. …By selecting the best regional products. “I use it gently cooked as a terrine, with a strawberry Sichuan pepper and spice compote (including turmeric, coriander, tarragon) with a toasted slice of apricot, nut, fig Gana bread that compliments the Foie Gras nicely. This Foie Gras terrine is available all year long and I change the compote with the seasons.